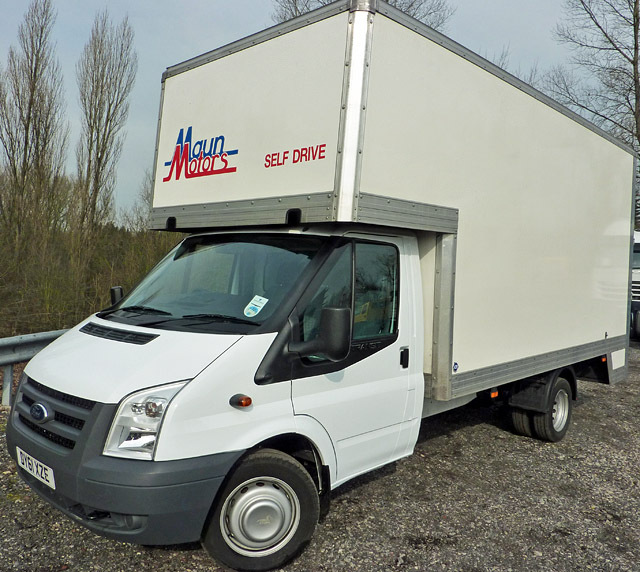 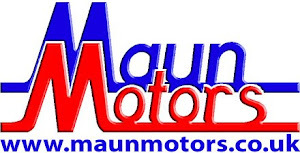 Maun Motors has recently added some large volume Ford Transit Dropwell Lutons to its rental fleet of over 800 commercial vehicles. These large luton-bodied vans are also known as "pantechnicons" and are popular with furniture companies and removals firms. These particular Transits feature a powerful 2.4 litre TDCi turbo-diesel engine with 6-speed gearbox and they are fitted with quality JCP luton bodies that have an internal length (not including the luton head above the cab) of 4.57 metres (15 feet 2 inches) and a main floor length of 3.87 metres (12 feet 5 inches). 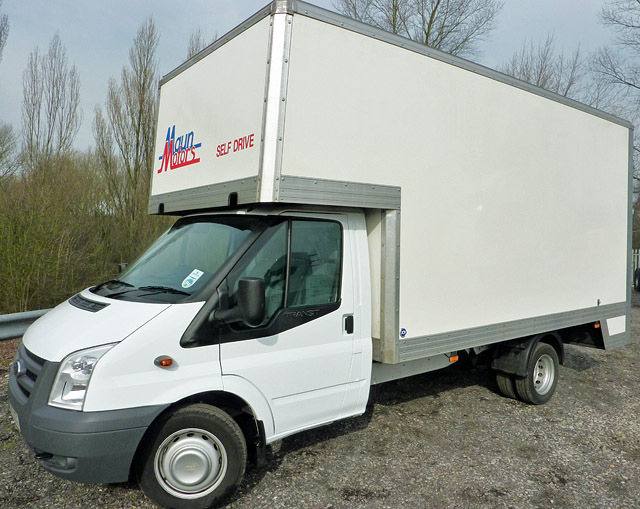 These Transits replace our popular Iveco Daily dropwell lutons which have featured on our hire fleet for several years. 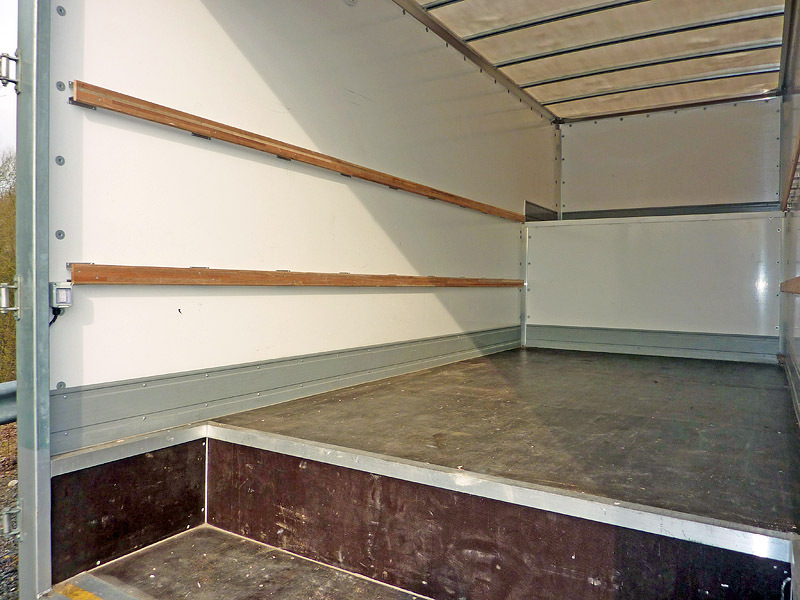 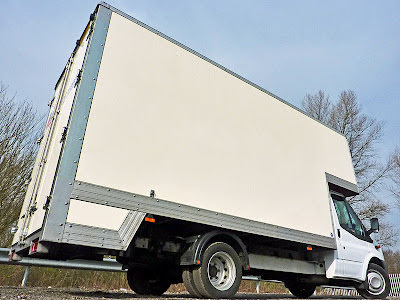 They feature a special lowered section to the rear of the body, which allows the driver to easily access the load area when loading and unloading the van. 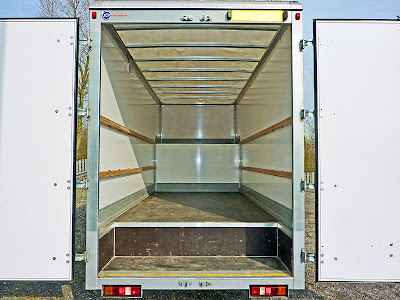 As you can see from the above photographs, these large luton bodies feature internal tie-rails to allow cargo to be secured to the sides of the vehicle. This is another handy feature for removals companies, because tall and top-heavy items such as wardrobes and grandfather clocks can be safely transported with less risk of damage from toppling over.